If you didn’t know, Glenwood Springs gets quite a few visitors throughout the year and there are quite a few people that work in the travel and tourism industry in the surrounding area to keep up with that adventuresome bunch of travelers. Concierges tell epic stories of whitewater rafting and Colorado sunshine to their guests, front desk staff gives last minute activity recommendations for those vacationing on-the-fly, and other GWS representatives help families plan anything from a weekend getaway to a full on family reunion. We thought, if these fine people talk about how fabulous Glenwood Springs is all day, shouldn’t they get to enjoy it too? Last Sunday evening, we had a huge group of employees of local hotels and business join us at our spectacular ranch in Glenwood Canyon. Set between cascading groves of Aspen trees in the White River National Forest and striking canyon walls, Bair Ranch is no doubt one of the most breathtaking places in Glenwood Springs. 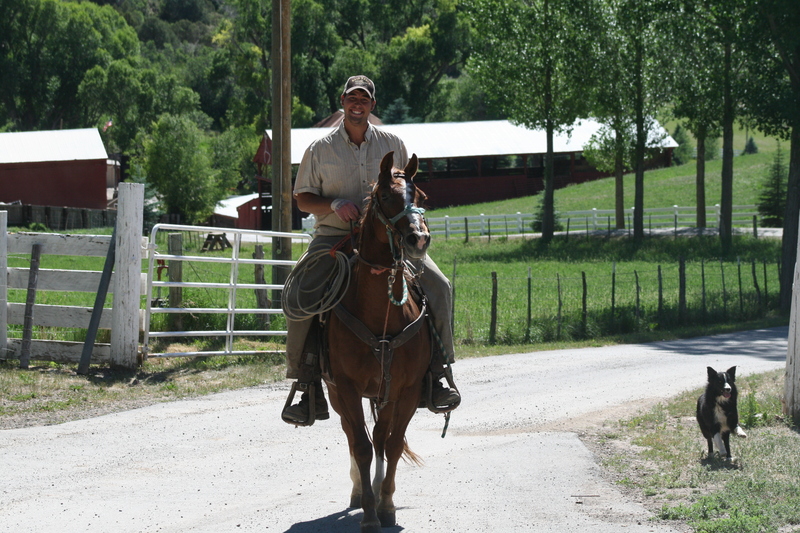 Our friends and their families hopped on horses for a guided ride of the area. 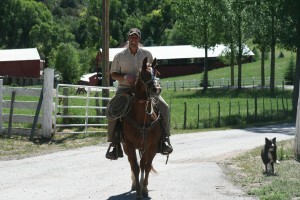 Bair Ranch is family-run and the youngest of the strapping Bair men, Jason, led the crew on a beautiful sunset tour. 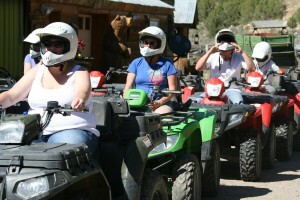 One of the most popular activities had to be the ATV tours. Who can resist the rev of the engines and trailblazing on dirt paths through the Rocky Mountains. A few of our guests ended up a little dusty, but it was worth the adrenaline rush. Between getting on one of the bigger tours people were trying out our new off-road segways cruising around the property. It’s a little out of place for the ranch, but everyone still wanted a ride! Of course with all of these activities, everyone was working up quite the appetite so we fired up the grill! There was a bounty of hot dogs and hamburgers, salad, potatoes (grown right on the ranch! ), corn on the cob, baked beans, brownies and peach cobbler. No one went hungry, to say the least. We had such a wonderful time with the amazing people that keep Glenwood Spring’s visitors happy. We get to enjoy this beautiful valley every single day. If we still have this much fun, I can guarantee you, if you haven’t been here, it will be the trip of a lifetime.